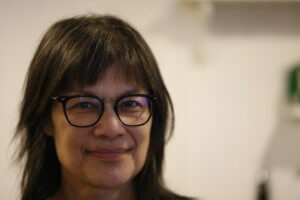 Michelle Aung Thin is a novelist, essayist and academic. Her first novel, The Monsoon Bride, (Text) is set in colonial Burma. She was the first Asialink resident to Myanmar in 2014 (funded by Arts Victoria). In 2017, she was the National Library of Australia Creative Arts Fellow (supported by the Eva Kollsman and Ray Mathew Trust). Her YA novel, Hosina, Through My Eyes (Allen & Unwin), about Rohingya ethnic cleansing, and supported by Creative Victoria and the Australia Council, will be released soon. She is currently finalising a book about returning to Rangoon, with supported from the Australia Council. Michelle teaches at RMIT University. Michelle is part of our 2019 conference.